Yrityksen yhteistyökumppanit ovat eurooppalaisia, enimmäkseen ranskalaisia. Kukin niistä on alansa johtajia (venttiilit, vaihtolevykoneet, ruostumattomasta teräksestä valmistetut kannet ja luukut). 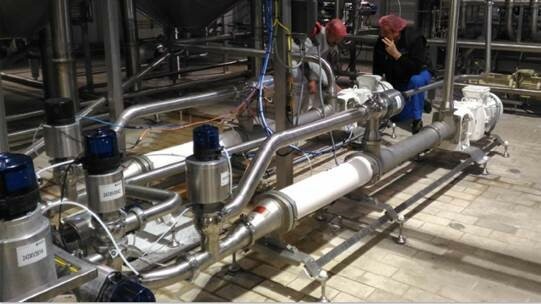 Definox is the french expert and manufacturer of hygienic valves since 1970. Definox focus on performance, optimal cleanability, environmental respect and certified highest international standards conformity. Their patented PFA floating seal technology with 5 years guarantee, their serviceable pneumatic actuators or the machined valves bodies with 7mm thickness are some key factors for success. 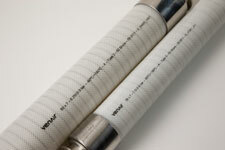 Dosys™ pump technology sits at the heart of all PCM systems. Invented by PCM, it makes it feasible to replace wasteful systems with highly accurate and efficient inline injection. PCM Dosys™ pump automatically synchronizes dosing volumes with the filling station for optimal performance. 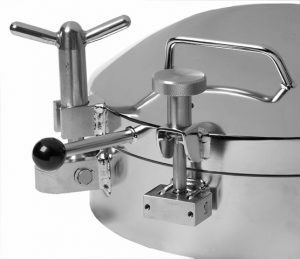 It also meters the ingredients with precision, thanks to servo-driven piston and a patented flow-control valve. PCM Dosys™ pumps are designed to handle liquids, semi-solids and viscous products without degrading their texture. PCM is today one of the world’s leading manufacturer of volumetric pumps and fluid-handling equipment. 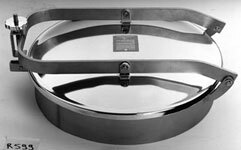 Over the past 85 years, PCM has acquired incomparable knowledges in a wide range of industries and is able to provide solutions for the transfer, dosing, mixing and filling of abrasive, fragile, viscous, corrosive, hot or heavy products. 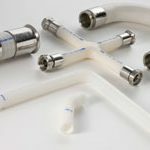 Our expertise in fluid properties and behaviors has been serving our customers challenges of Food, Cosmetic & Pharmaceutic, Oil & Gas and Industry markets. 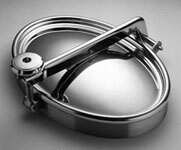 Pierre Guerin designs and produces a comprehensive range of vessels and process lines for the Food & Beverage and Life Sciences industries. 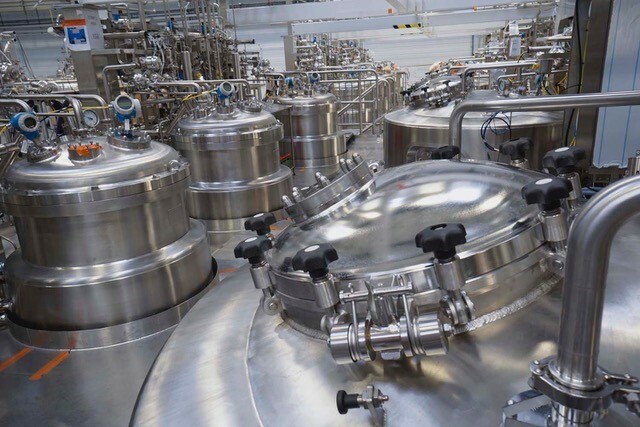 Our capabilities and experience in engineering and manufacturing (vessels & agitators, piping, automation) coupled with management capability for international large scale projects enables Pierre Guerin to bring global solutions to Biopharmaceutical, Food & Beverage and Cosmetic industries, with recognition as a reference supplier in the sector. Pierre Guerin’s focus is related to advanced technological systems, and vessel manufacturer for clients demanding high standards of build and real equipment quality. 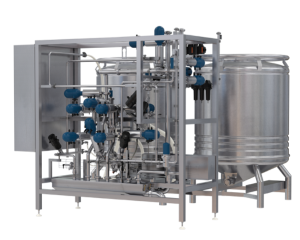 In the Dairy Industry, in the Food & Beverage Industry, Pierre Guerin know-how extends from the arrival and the storage of raw materials to the storage of finished products prior to filling and conditioning. 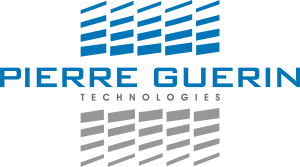 Pierre Guerin applies special process and technological expertise across the whole spectrum of unit operations (raw material arrival and storage, standardization – dosing – mixing, homogenization, pasteurization, sterilization, cooking – concentration, fermentation – maturation, curd treatment, crystallization, Nizo process, filtration, etc.) to design your equipment and turnkey units thereby integrating tanks, process equipment, CIP units and control systems. 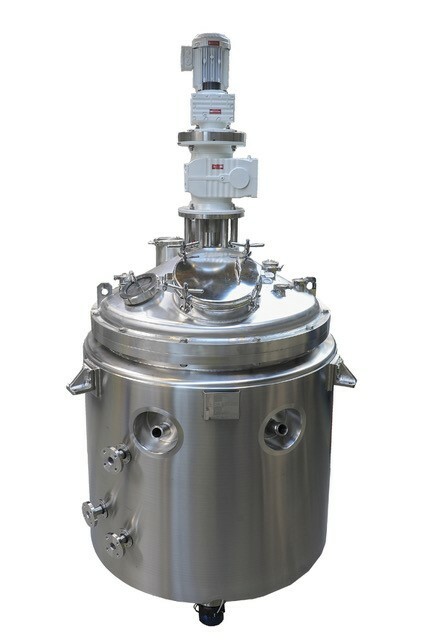 Pierre Guérin SAS is a global supplier and market leader in design and manufacture of stainless steel upstream bioprocessing systems for fermentation and cell culture processes. With three production assets in Europe and USA , plus a technical office in China we can deliver what you need on time and to the needed quality for the market in which you operate. Our equipment is always fit for purpose, and designed precisely for you: Whether for GMP biologics, animal/human vaccines and MAB’s, to indus-trial enzymes, agro-feeds and bio-pesticides. Typical examples are bioreactors and fermenters, sterile liquid formation, WFI and pure water distribution, and CIP units. Designs are according to client URS’ or to our own specifications, and constructions are range from or modular units to super-skids. Pierre Guerin has huge expertise and experience in the field of bioreactors and pharmaceutical systems, in particular for cGMP projects, complex skids and large scale processes going back more than 25 years. 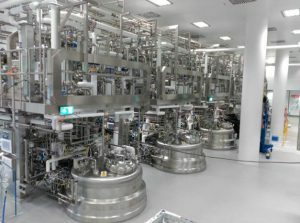 The combined resources and capacities of our two facilities (factories in France and U.S.) are therefore amongst the largest in global the bio-pharma market, and give us strategic advantage for multinational customers, and the ability to handle manufacturing of the largest projects (distributed manufacturing). 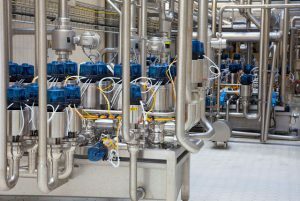 Professional project management and an intrinsic qualification system control the design phases right through to all manufacturing operation and pre-FAT, FAT and site activity. We are also active in the field of the Green Biotech and agro-food Bioprocess applications. What are the Pierre Guerin concepts for construction of systems? Small systems such as bench-top or lab systems are fully pre-designed with a comprehensive range of standard options allowing for a wide variety of configuration, with little or no new engineering required. ISO 9002, FDA, USP Classe VI. Yritys on tunnettu ensisijaisesti PTFE-letkujen kehittäjänä ja edelläkävijänä. mukaan räätälöityjä ratkaisuja erilaisiin tarpeisiin, kuten mm. lyhyt toimitusaika sekä kilpailukykyiset hinnat. ISO 9001, AQUAP, CODAP 95, ASME, TÜV. Korkealaatuisien ruoka-, juoma-, lääke-, tuoksu- ja kosmetiikkateollisuuden tarvikkeiden maahantuojana.